Can My Custom-Built Home Be Green? Energy-efficient Homes in Maryland and Washington D.C.
Green homes have gone from a luxury option to a housing standard. A “green” home is defined as one that meets some level of energy efficiency and ecological responsibility. How green or energy efficient a home is depends upon where it falls on the spectrum of factors that go into a green home. We’ve built homes completely bedecked in every green option available and had an array of homes get LEED certified. But it isn’t necessary to go to those lengths to have a green home. All of the homes we build are built to what we consider a basic standard of energy efficiency; they are tight, built of quality materials, and are thoughtfully designed with energy efficiency in mind. For instance, we’re currently building a home near a body of water, which means the home is raised off the ground, so it cannot take advantage of the earth as an insulator. The majority of a home’s heat gain and loss transfers through its roof, but when it’s built off the ground, heat can equally be gained or lost through the floor. To combat that transfer, which would drive up energy bills, we insulated the ceiling and floor of this raised house with spray foam. With that density of insulation, we’re able to install batt insulation in the walls, which costs less than spray foam. So, we’ve achieved the same insulation rating without spending the money to spray foam the entire house. 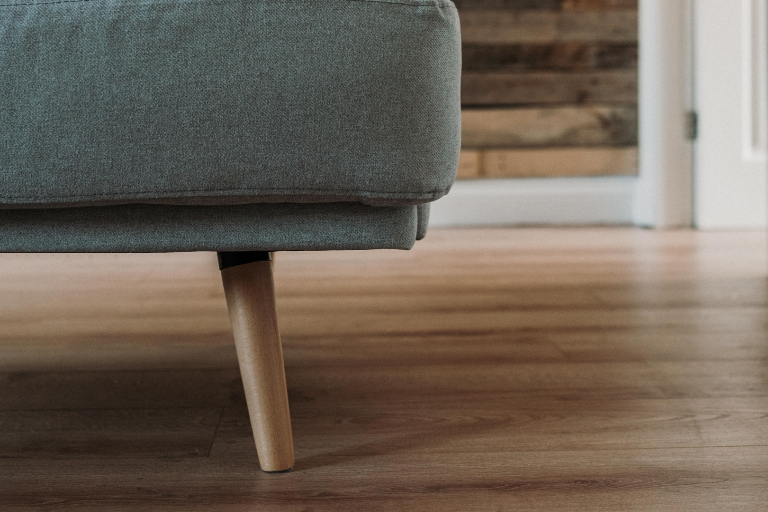 There are plenty of other options for making a home energy and earth conscious, from energy-efficient appliances to responsibly-, sustainably-sourced materials, like bamboo flooring. 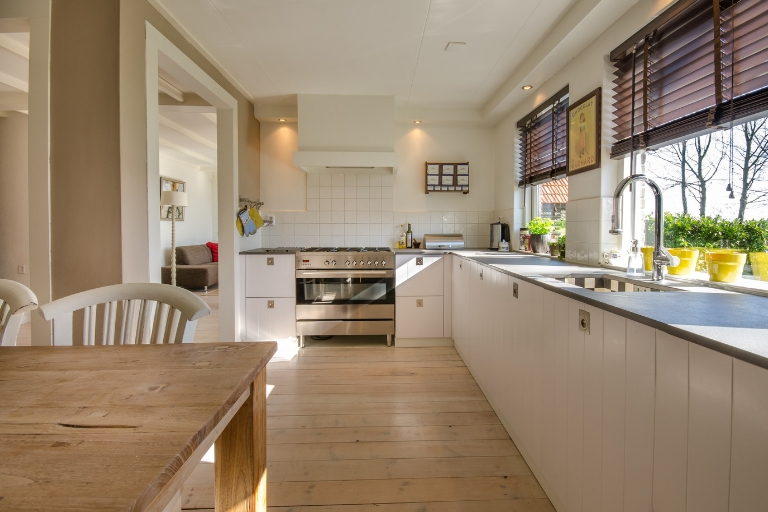 Some of our clients may elect to repurpose materials from another home that’s being torn down, and some may choose to install very earth-friendly materials like laminated paper countertops (which can be somewhat costly). While these are wonderful options, with more coming to market every year, it isn’t necessary to run up huge costs to have a green home. For very reasonable costs, there are accessible building materials and finishes that have low or no VOCs (volatile organic compounds), like non-toxic glues, tiles, and paints. One thing to consider when building a house free of these toxins is the furniture and belongings that you then move into the new house. If the glues, paints, and finishes on your sofas, tables, and other items are not VOC-free, the benefit of the VOC-free building materials is lost. Hydronic heating systems can circulate heat through pipes laid in the floors and to wall units, which can be a very energy-efficient way to heat a home, depending on where you live. Radiant floor heat is a boon in cities with extended winter conditions, but not much advantage in climates known for rapidly changing temps. 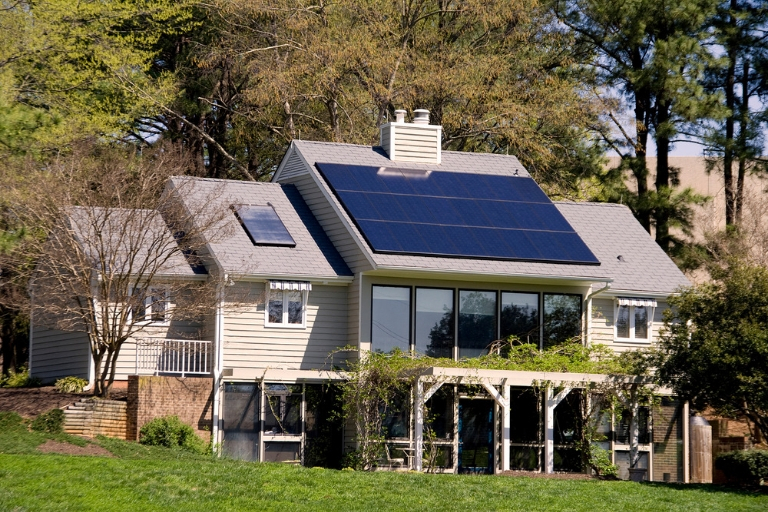 Solar panels have gained popularity in recent years and can be a great way to source energy. However, it’s important to learn about the entire cycle of such things; the up-front expense as compared to the lifetime benefits of a solar system may or may not be in your favor depending on your home, your energy usage, where you live (sunny vs cloudy locales), and the initial expense. Someone living in Tucson, Arizona, where the sun shines more than 300 days a year, can make better use of a solar system than someone in a city where the sun shines far less frequently. Sometimes, the latest and greatest products on the market are more expensive than they may be worth, depending on what you get back out of them over their lifetime. For example, air conditioning systems can be SEER rated for efficiency. Some people gravitate to magazine ads for the highest SEER-rated A/C systems, which, of course, are the most expensive. That high cost may not be necessary. If your home won’t require enough of the A/C unit to really tax it, paying for the highest end model won’t deliver any extra benefit to you. Stepping down to a more reasonably priced model will not only save you some money up front, but it will serve your house perfectly well. Fancier isn’t necessarily better. You can absolutely have a green home, with low energy costs and responsible, healthy materials. Winthorpe really strives to educate our clients on what options exist, how those options will benefit their home and their lives in that home and finding the right balance of cost-to-benefit. If you’re curious about learning more about some green options, call us. We’re happy to explore your needs. Can You Provide Drawings for the Custom Home I Want? Drawing Up Plans for Homes in Maryland and Washington D.C.
Finding the Right Lot for Your Future Home: How to Find Lots in Maryland and Washington D.C.